Jordan has welcomed more than 650,000 Syrian refugees, and with its scarce natural resources, is struggling to carry the heavy burden of hosting such an inflated population. Dwindling funds and support from foreign governments has led to a dangerous lack of life-saving services. Some refugees feel they have little choice but to return to the dangers of Syria or risk migrating overseas. Most Syrian refugees live outside the formal camps in rented rooms, dispersed throughout the country in apartments, garages, or empty shops, which they rent from Jordanian owners. The cost of living in Jordan is very high and many refugees are not able to pay rent or other expenses such as food, education, or health care. Most Syrians are unable to legally earn an income in Jordan, making it extremely difficult for them to live in the country without assistance, or they work while in fear of being deported back to Syria. Besides these physical needs, Syrian refugees also face psychological challenges. Many suffered trauma when they fled from Syria and life in Jordan places enormous pressure on them. A network of trained community health volunteers visit refugees in their homes and promote good health, hygiene, and nutrition practices among refugees. We also increase access and strengthen support services for trauma victims and women and girls affected by gender-based violence. 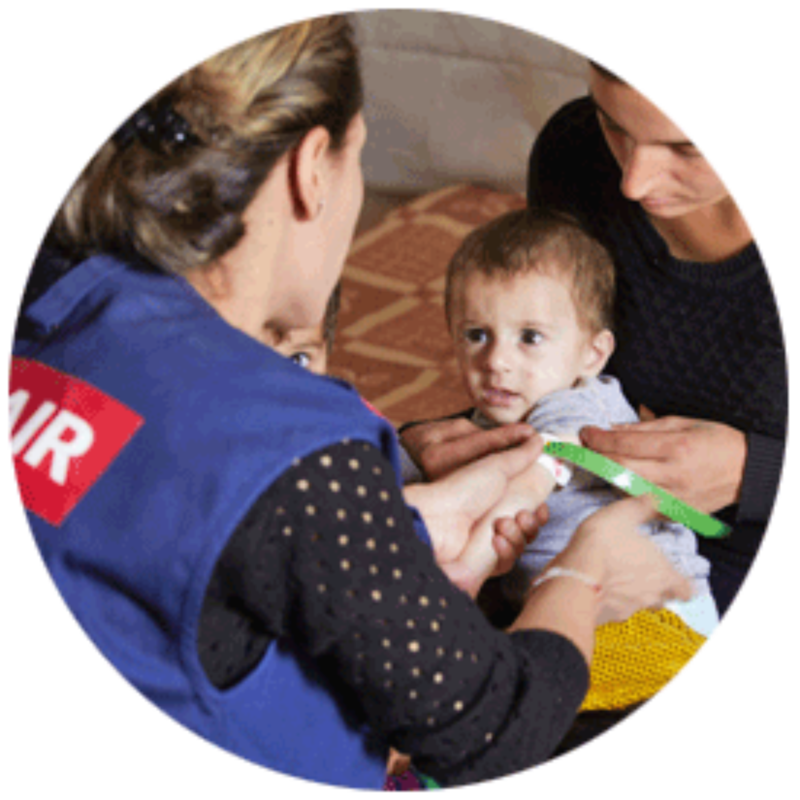 Medair also provides financial support for pregnant women to receive health care for delivery, as well as for vulnerable Syrians to receive health care for emergency surgeries and other health related issues. Medair runs programmes that bring groups of 12-15 Syrian refugees (women and men separately) together for 8 sessions over 12 weeks to share their experiences, address the stresses and trauma encountered while they were in Syria, and learn strategies about how to cope with their situation as a refugee. Medair helps families improve their living conditions by providing cash assistance, which allows them to pay for their rent or make purchases for their most urgent needs. During the winter season, we arrange for one-time cash grants for families to buy winterisation supplies, such as heaters and blankets. Medair conducts awareness workshops to inform Syrian refugees about their rights in Jordan and what is required from them in order to comply with the Jordanian regulations. Athab and Mhanna have lived in a two-room apartment in Zarqa, Jordan since 2012.